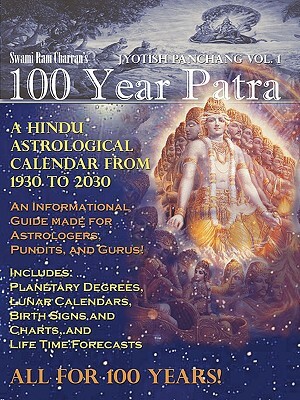 AN UNFOLDING OF YOUR LIFE ACCORDING TO THE PLANETARY SYSTEM IN VEDIC ASTROLOGY THAT LOOKS AT YOUR LIFE FOR 100 YEARS OR LESS. THIS BOOK WILL TEACH YOU FROM BASIC LESSONS ON LIFE TO THE KNOWLEDGE OF ACHIEVING A GIFT OF SEEING THE FUTURE THRU THE EYES OF THE ANCIENT RISHIS AND SAGES WHO WROTE SUCH GREAT BOOKS AS THE BIBLE, THE TORAH, THE KABALA, THE RAMAYAN AND THE BHAGAWAT GEETA. The knowledge contained in this book will give you the ability to make you and your family safe from all the great obstacles of life such as poverty, separation, death and destruction. The knowledge presented in this book is so accurate you can even predict your date of death and sickness so that you can take steps to change them before they happen .